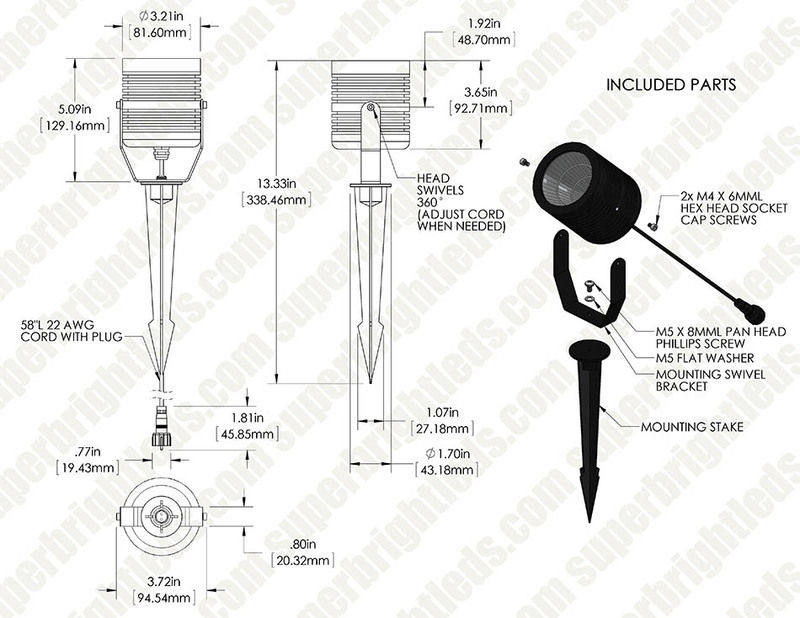 10 Watt LED Landscape Light: Ground Stake. 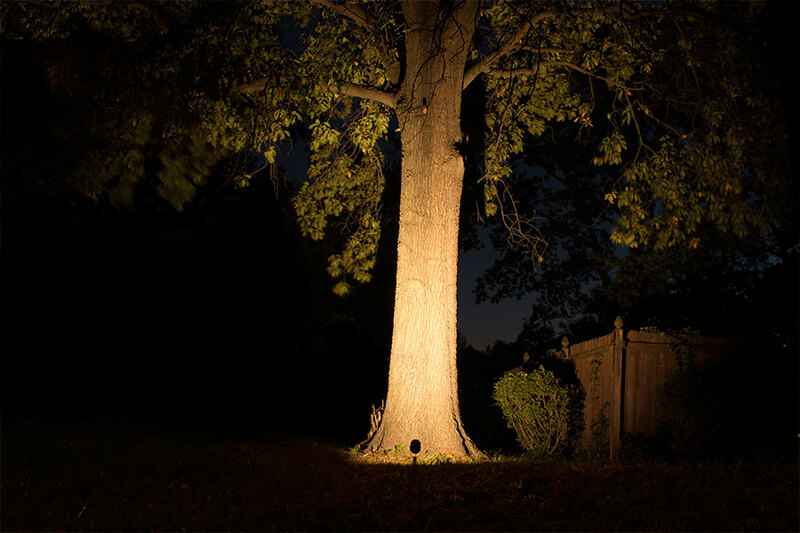 10 Watt Landscape LED Spotlight w/ Mounting Spike: Shown Lighting Back Of Magnolia Tree In Warm White. 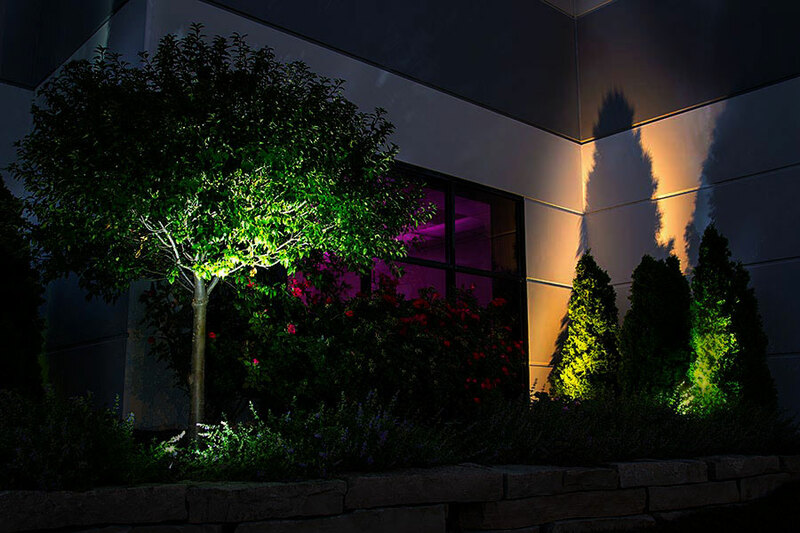 10 Watt LED Landscape Flood Light w/ Mounting Spike: Shown Illuminating Magnolia Tree. 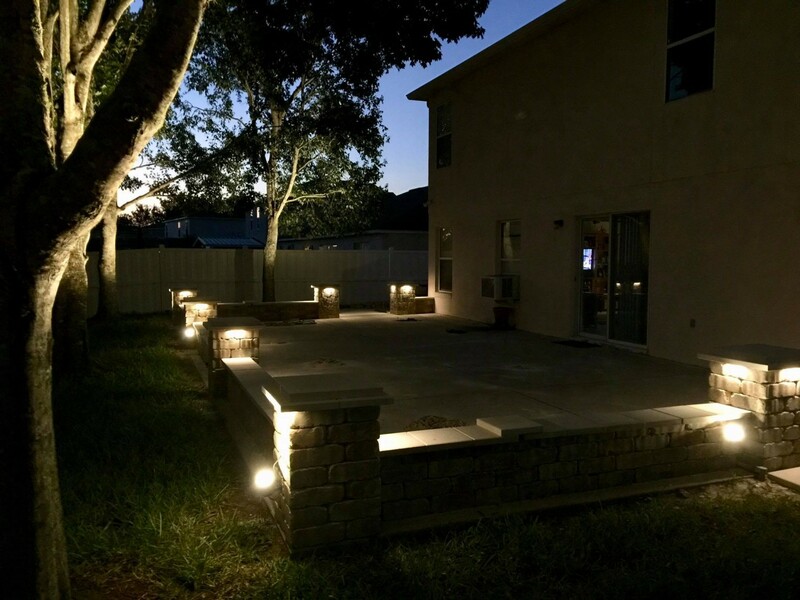 10 Watt LED Landscape Flood Light w/ Mounting Spike: Shown Illuminating Shrubs And Building Wall. 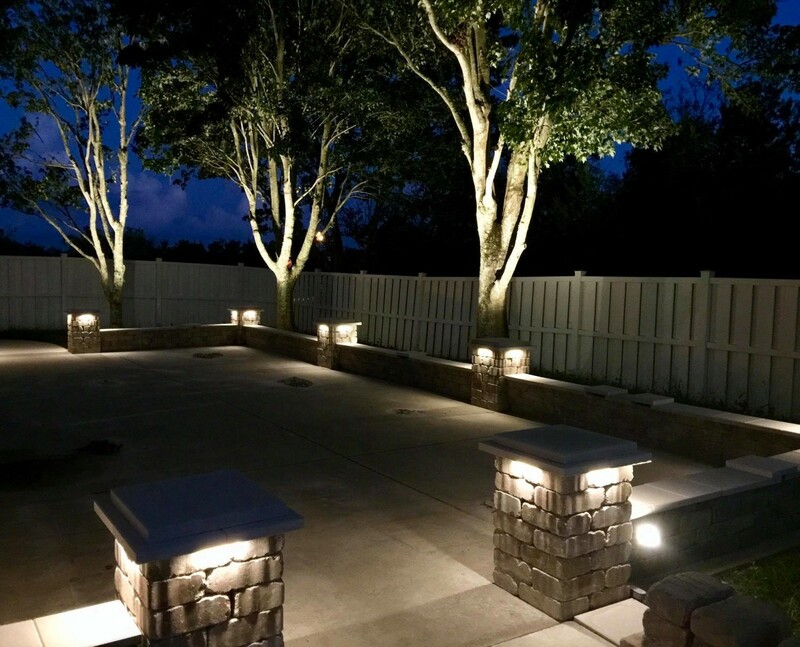 LED landscape lights are an energy-efficient solution for architectural lighting, garden lighting, outdoor accent lighting and sign lighting. 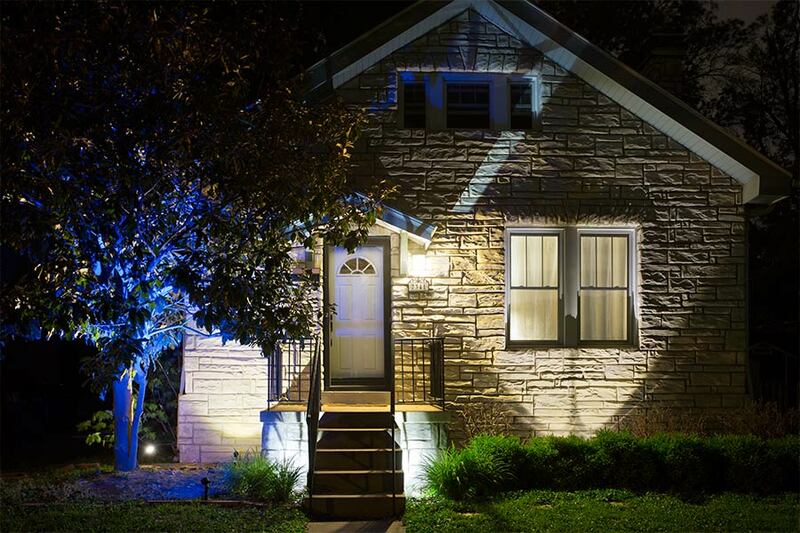 This outdoor LED spotlight has an output of 600 lumens. 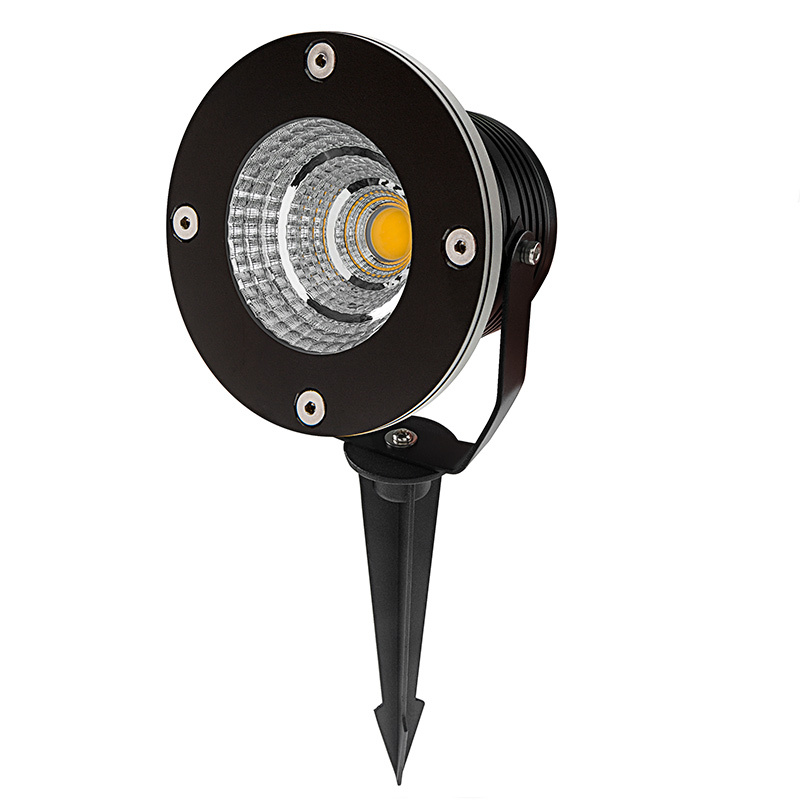 The warm white LED has a color temperature of 3000K and emits a 60° beam angle. 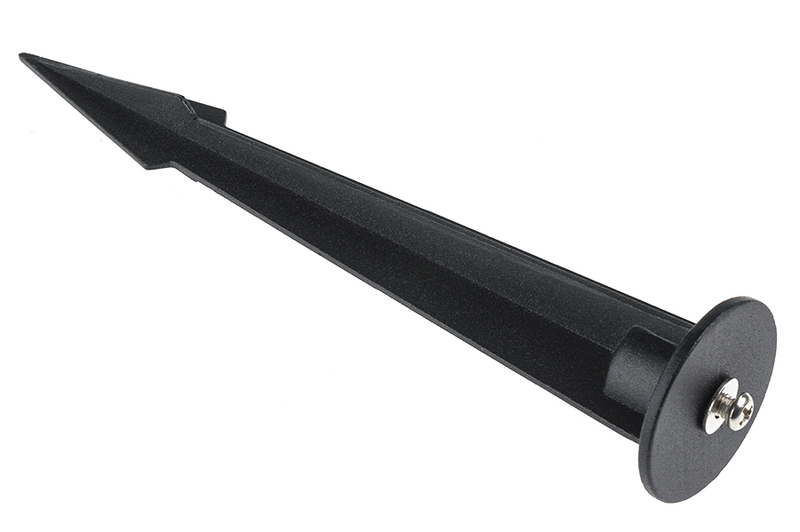 An IP68-rated waterproof black aluminum housing protects internal components. 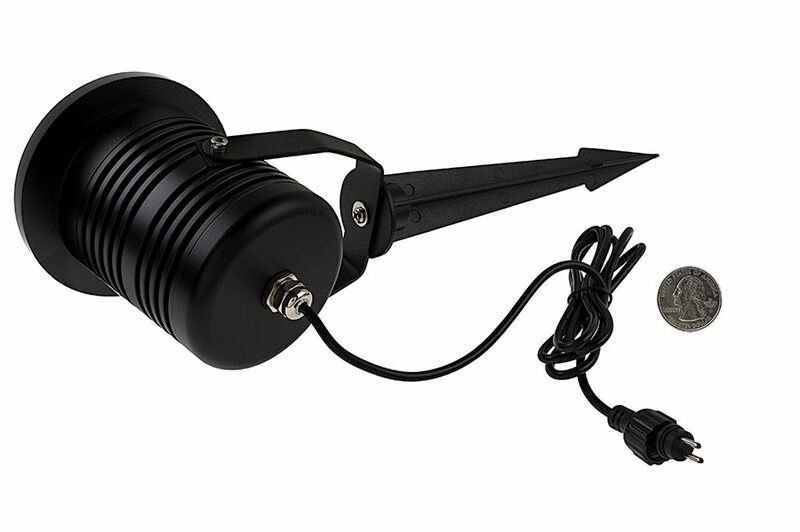 Mount the LED spotlight to a wooden surface such as a gazebo, deck or tree, and use the 360° swiveling head to aim light where it's needed. 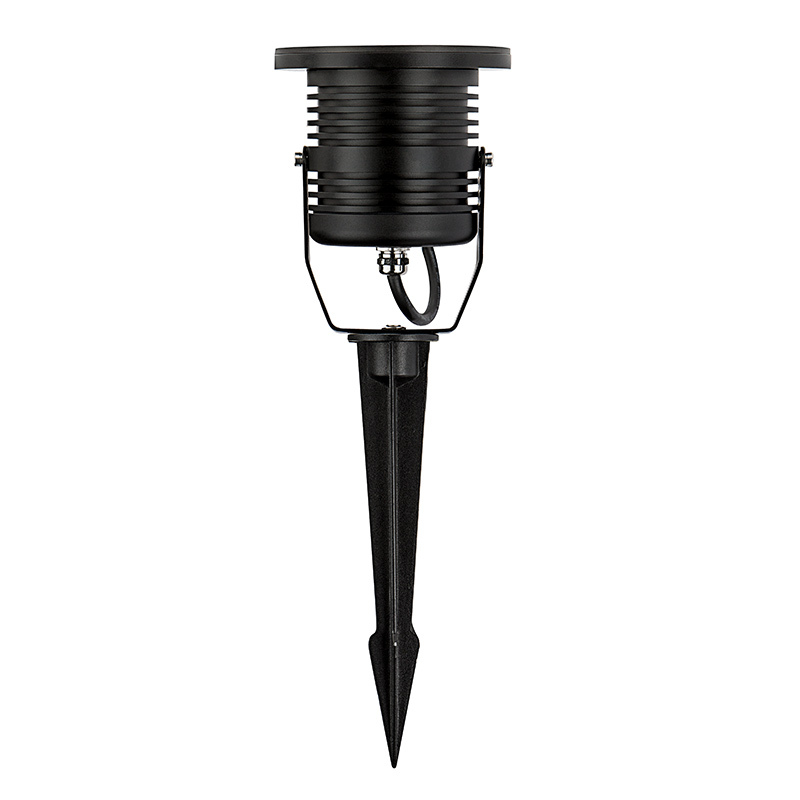 An 8" ground-mounting spike is also included for tree uplighting or plant accent lighting. 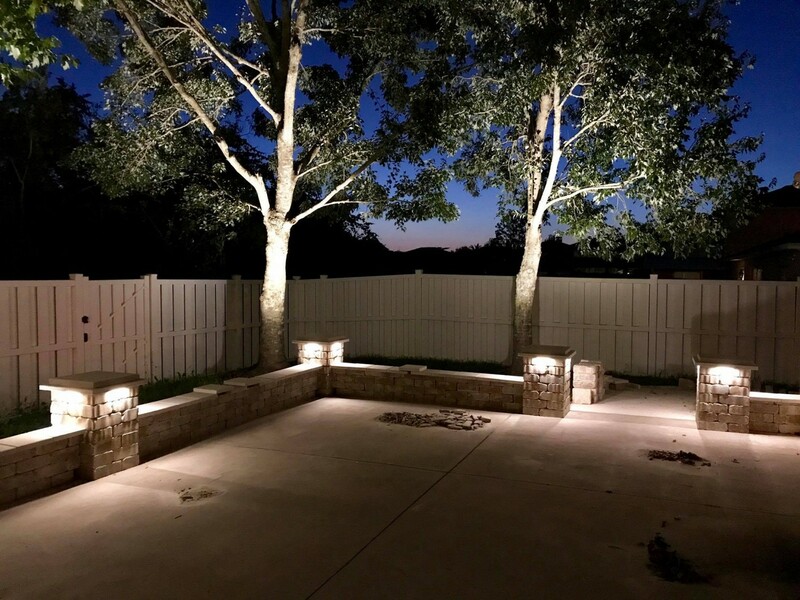 The LED light has 12V AC/DC operation and a 4-13/16' power cord with a G-LUX plug-and-play connector for easy installation in a G-LUX landscape wiring system. Can also be used in an existing low-voltage landscape wiring system with a GLUX pigtail power cable. See all compatible G-LUX series products and accessories. 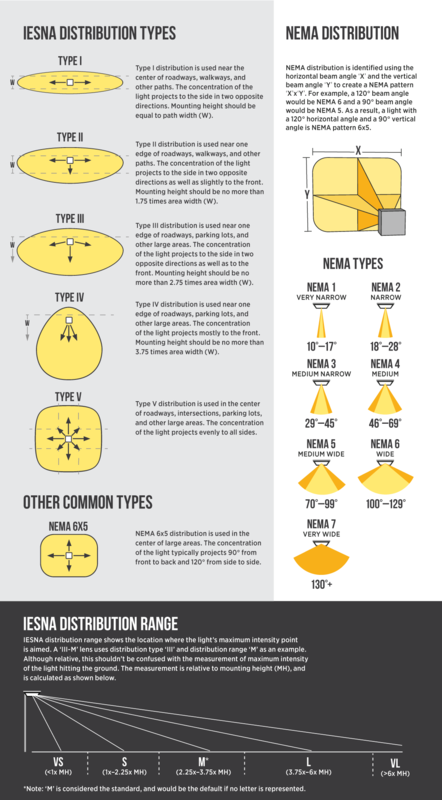 As an electrical contractor, I can verify the quality and performance of these lights. They are 100% compatible with the GLUX line and the lumen output and color temperature are confirmed to be as indicated in the product specifications. 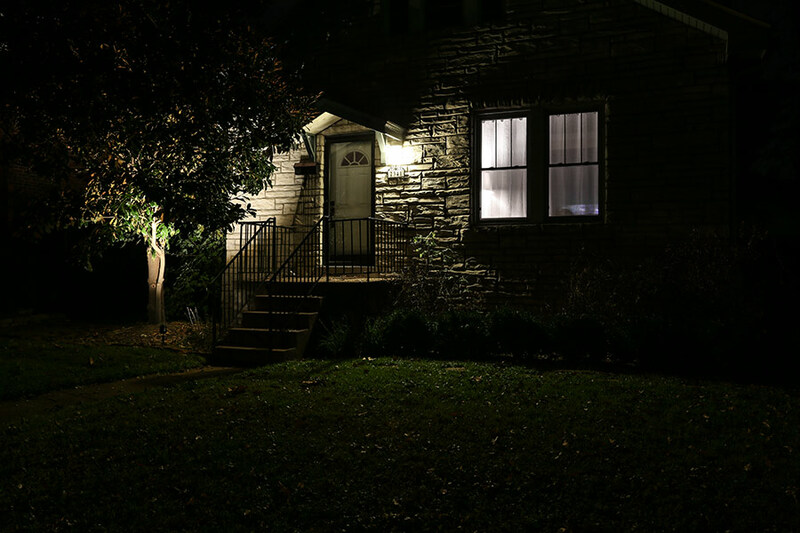 They definitely produce a tremendous amount for illumination than the multicolor GLUX LED 6W lights, which are very difficult to achieve a warm white color. 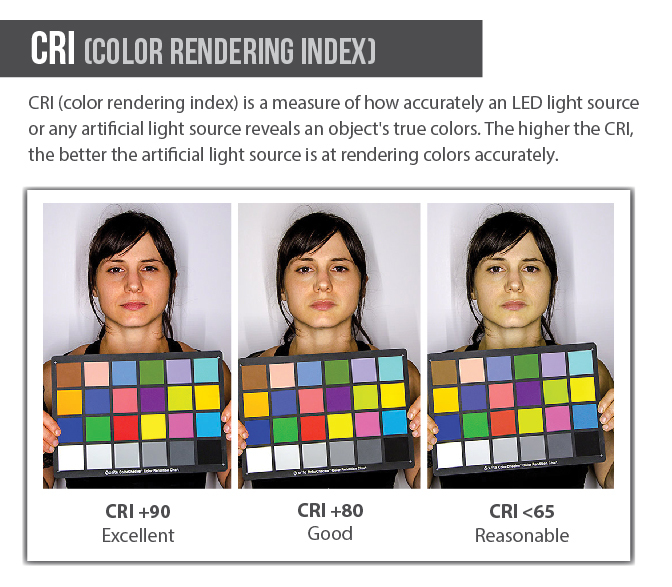 I would assume the cool white version of this fixture performs in similar fashion with color temp and lumen output being as specified. Great fixture, great performance, great line. Easy to install, adjust, and maintain. 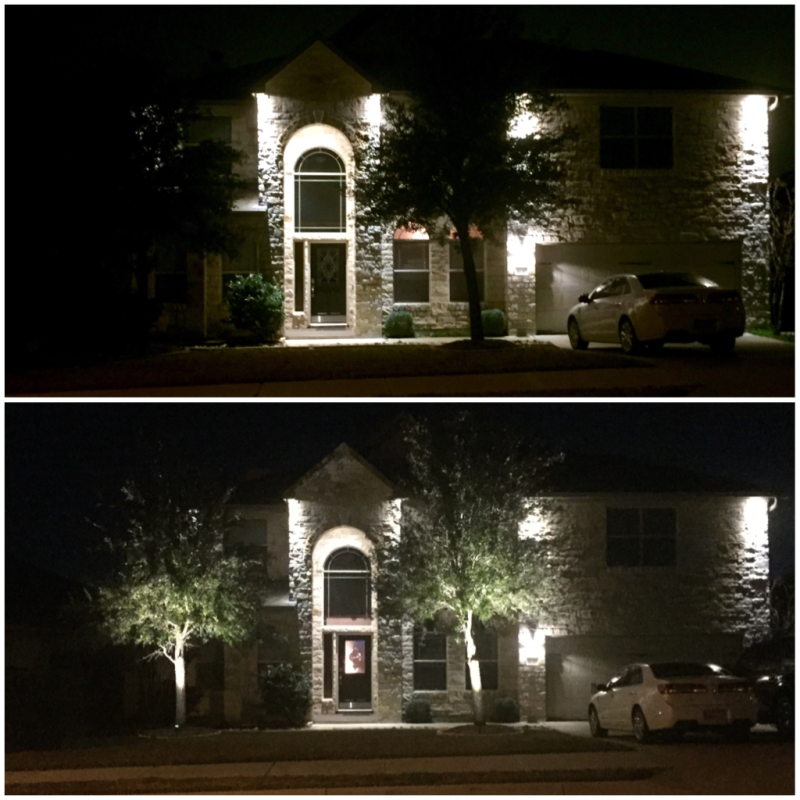 See Before and After picture with trees illuminated - 5 stars. I am not sure what the true lumens (lm) is for this light. Initially on the website they advertised 770 lm but then I found out it is actually 670 or maybe even less, perhaps 600 lm. I wish they would be honest to people instead of lying or being dishonest to people. 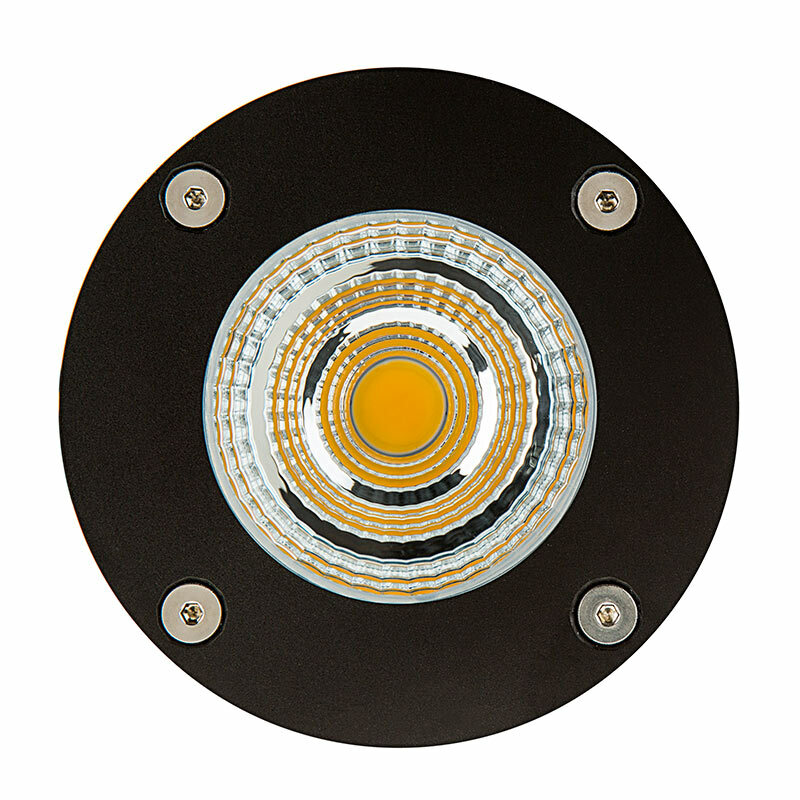 A 10W led on an average has 600 lm of brightness. I am not sure where they came up with a higher Lm number. As a result, I took one star away. Lumen rating on web page is 670 Lumen. The batch testing shows that the current inventory is within tolarences.